You are currently browsing the tag archive for the ‘flat’ tag. Adolescence is difficult. Puberty is an awkward transitional time when the winsome cuteness of childhood departs forever but is not fully replaced by the graceful strength and confidence of adulthood. But before you have a PTS flashback to those rough years, spare a moment of pity for the poor flounder. 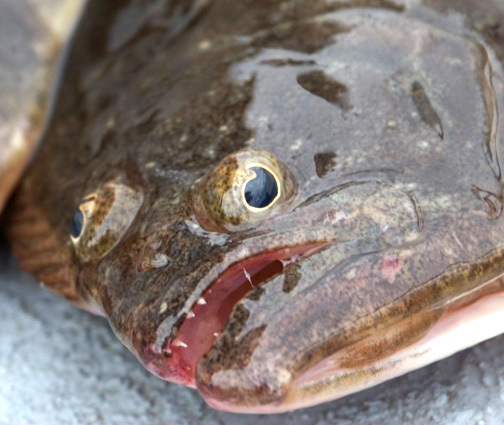 Flounders (and other flatfish like halibuts, soles, and flattest of them all, turbots) are born…err hatched like us with two eyes on either side of their skull. As tiny transparent larvae living among the zooplankton, flounder fry can see a panoramic view of the ocean so as to better evade predators. As they dart through three dimensions, their bilateral symmetry is like that of the rest of the vertebrates. Then, as they grow into adult fish, a strange and remarkable metamorphosis occurs. 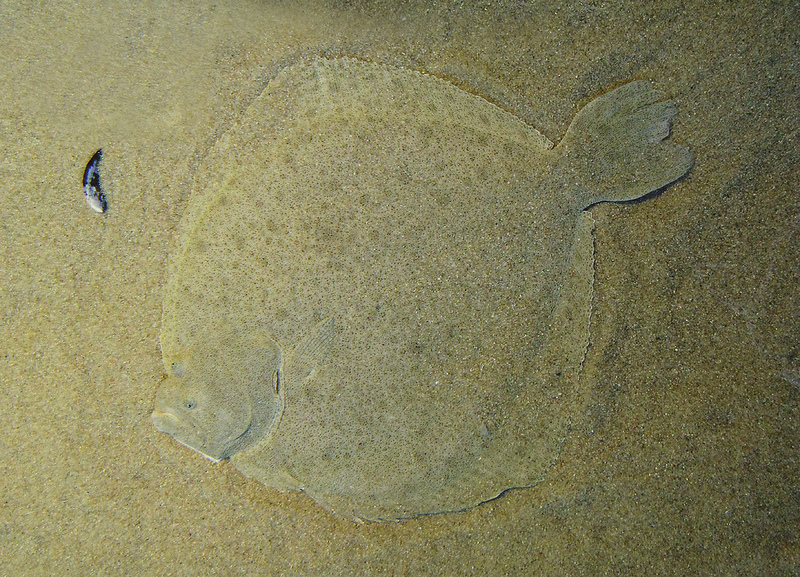 Bones in the flounder’s skull distort and one eye migrates across its head so that both eyes are on one side of its face. Imagine if your left eye traveled over the bridge of your nose to permanently join your right eye on the right side of your face! 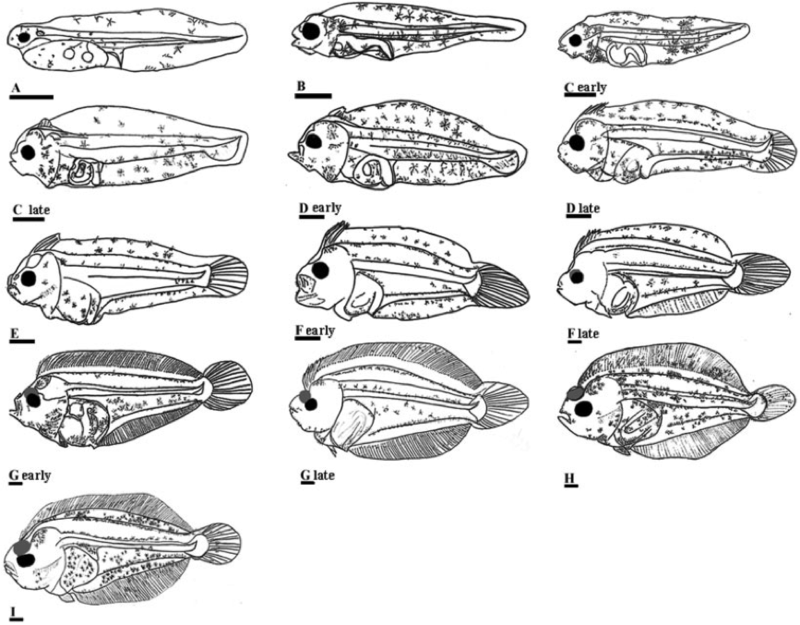 Of course eye migration is but one aspect of the flounder’s change to adulthood. The fish begin to swim at an angle. One side of their body becomes flecked with color while the other becomes white (the better to merge into the two dimensional world of the bottom). 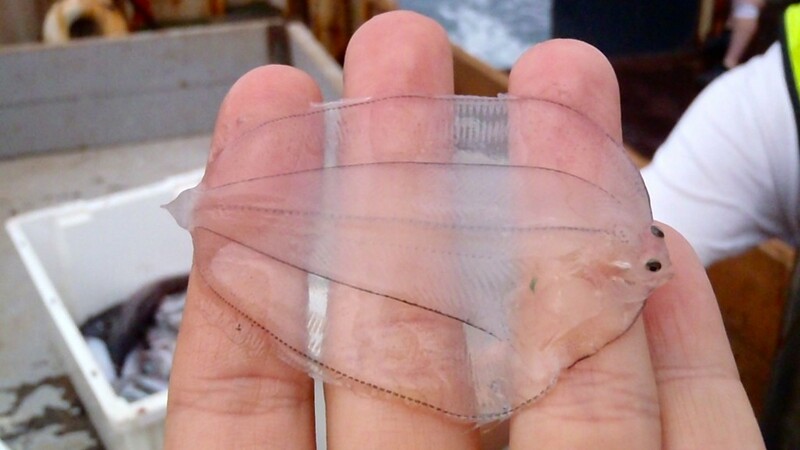 Speaking of color, the once transparent fry becomes opaque! Their mouth opens on one side of their head and they must learn to swim like a flying carpet. But don’t let their remarkable transition and their comic appearance deceive you. 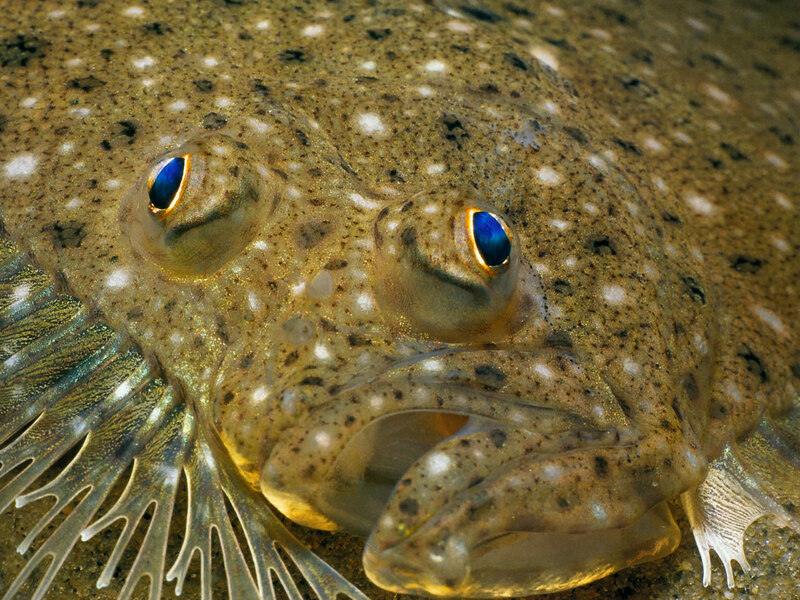 The flatfish are extraordinary predators and they are also geniuses at avoiding the many toothy hunters of the ocean. Their close set eyes protrude above the sand and see unwary prey with acuity and laser focus. Fossil finds from Monte Bolca, a beautifully preserved Eocene coral reef, show that the flatfish were evolving into their current form 45 million years ago (as the primates were taking to the trees, the bats were first taking wing, and the little dawn horses were scampering through the endless tropical groves). For at least 45 million years the flatfish (which, I should have mentioned, constitute the order Pleuronectiformes) have been camouflaged at the bottom of the sea feasting on shrimp and minnows while the world blinked and didn’t notice them. They are still out there thriving, even as whole parts of the ocean ecosystem collapse. It is a striking reminder that wrenching changes can work out for the best!